Sending Aussie Logan down under! 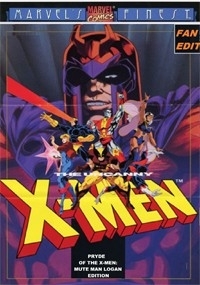 I love Pryde of the X-Men, it's cheesy goodness, but there are some things about it that really make it feel very silly, the narration by Stan Lee tells us things that frankly we can easily gather from the story being allowed to breath on it's own, whilst Logan talking in a weird australian voice (no offense Hugh Jackman), made this pilot episode quite infamous. I thought to myself, "How much better would this ep be if such things were removed?" Here is my answer. There were some patchy areas to cover that I had to smooth over with audio transistions in order for everything to flow better, for example, the alarm going off in the danger room had to be inserted just after Nightcrawler tells Kitty he wanted to properly welcome her. I also thought Kitty being a clutz and scrambling Cerebro's defensive circuits was a bit too conveiniant. I grew up on some great Juggernaught stories, particulary the one where he battles Spider-Man and very little gets in his way, I wanted to convey Juggernaught being able to set himself a target goal and accomplish it. Ok first of all, this was all-around AWESOME. 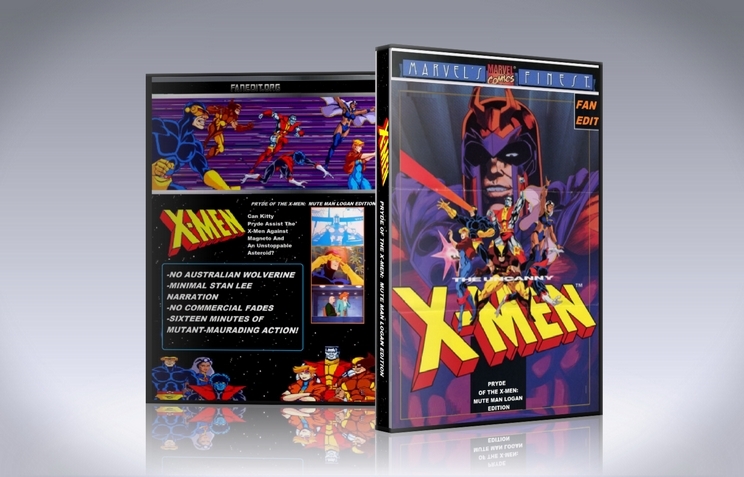 The music, the animation, the look--all took me back to the Saturday morning X-men cartoons I used to watch as a kid. The lines here are ridiculously quotable, and I laughed out loud several times. This seems to be the "perfect" X men episode--with all the main characters introduced and a solid storyline. The running time was just right too- a nostalgic 15 min trip back to the 80's.